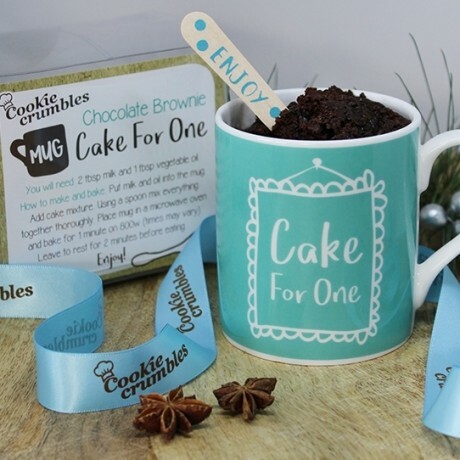 Nothing can bring a smile to someone’s face quite like a delicious cake and especially when baked in under 5 minutes…This wonderful mug gift set comes with a delicious chocolate brownie cake mix packed with chocolate chips. 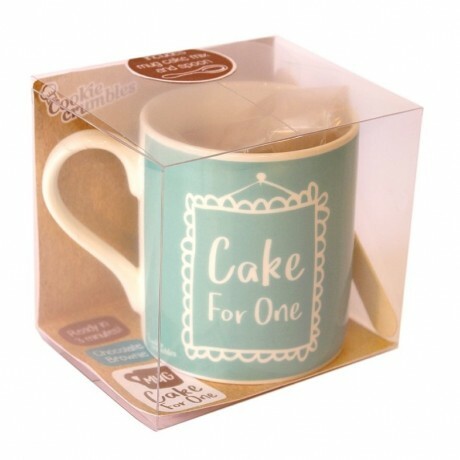 Simply empty the mixture into the mug, add milk and oil, give it a little mix and pop in the microwave for 1 minute, wait (impatiently) for 2 minutes for it to cool down and enjoy! This product is dispatched by Cookie Crumbles. This item has a shipping weight of between 300g and 300g depending on the options selected. Please note: this item has special delivery requirements so £3.00 is added to the delivery charges indicated below.